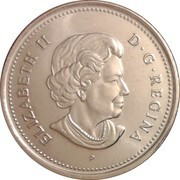 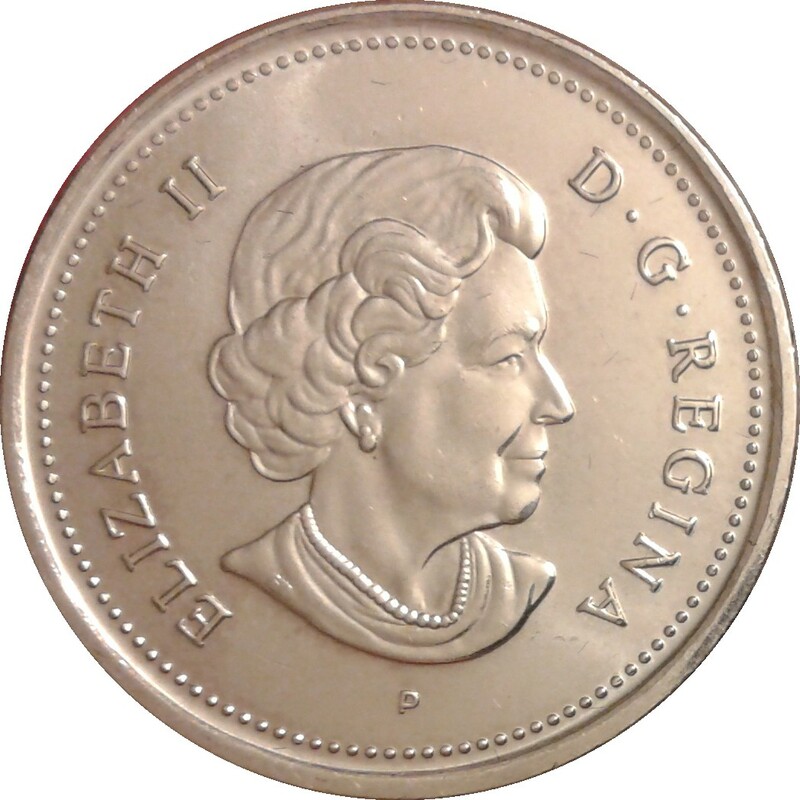 The portrait in right profile of Elizabeth II, when she was 77 years old, is surrounded with the inscription "ELIZABETH II D · G · REGINA" (Elizabeth II, Queen by the grace of God). 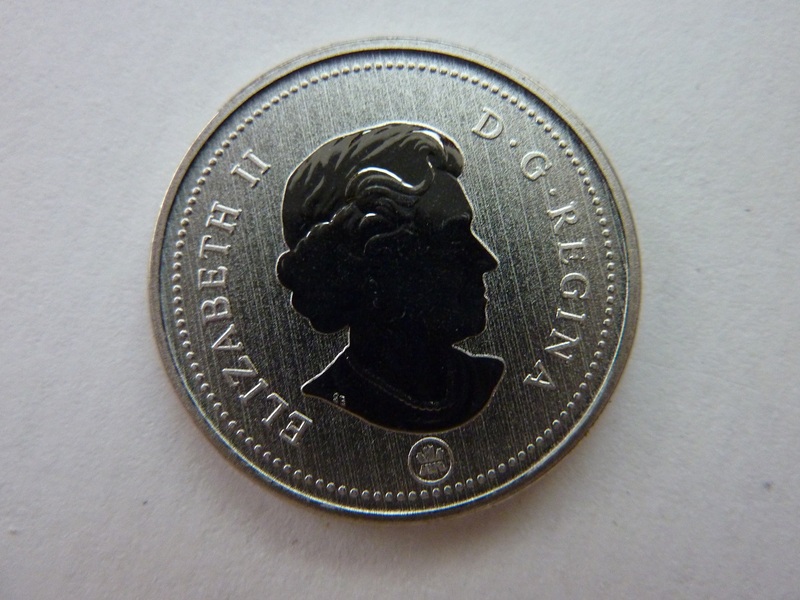 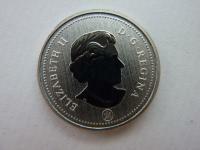 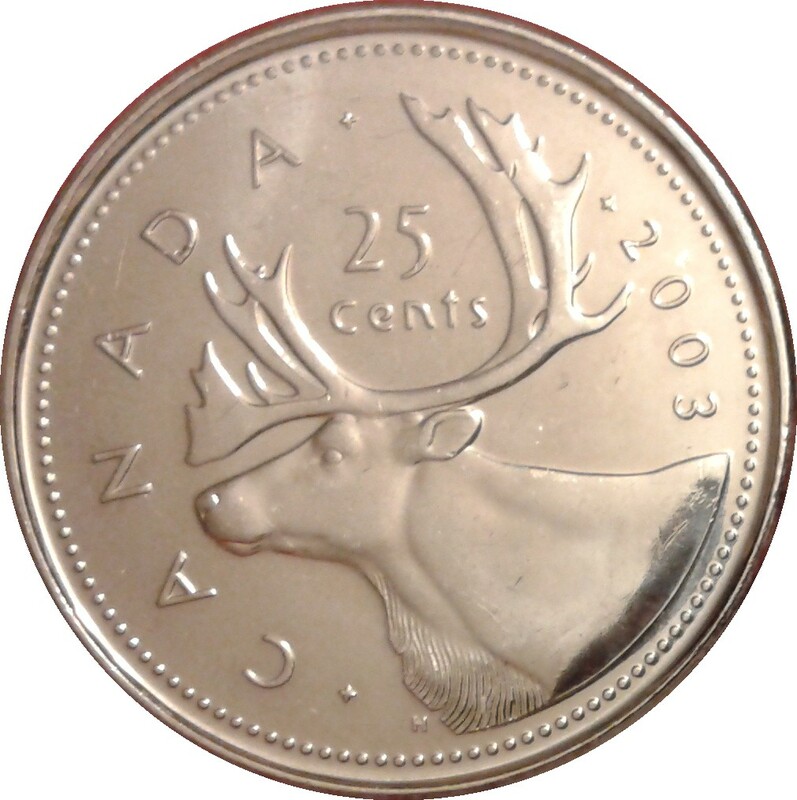 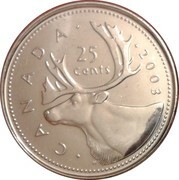 NOTE: 2006 last 'P' (for plated) composition mark used and the maple leaf logo introduced as well. 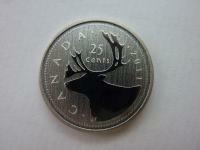 Specimen version exist that have satin/brushed finish background with polished mirror finish relief detail.